Terence takes a shortcut across a frozen lake while collecting Christmas trees for the holiday market. Disaster strikes as the ice begins to crack, leaving Terence nervously waiting to be rescued! Meanwhile, Daisy is sad when Christmas doesn't go as planned, and Spencer and Gordon upset their passengers when their competitive behavior gets out of hand. Poor Emily gets stuck in the middle while helping bickering brothers Donald and Douglas, and when a big freeze hits Sodor, Diesel finally proves himself to be a hero. 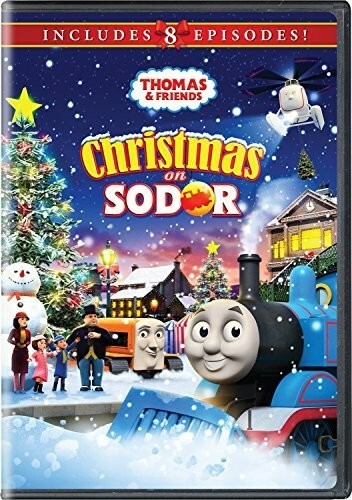 Warm up this Christmas with Thomas and his friends!